Projector System for your Home. 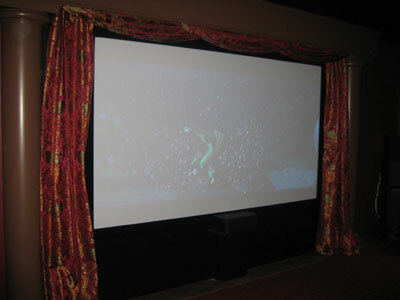 Home Theater Projection Screens are a Great Addition. Projector System for your Business This is a must for a Business or Classroom with PowerPoint Presentations. From offices, classrooms and auditoriums right through to home cinema and camera clubs, our team of qualified, certified and CRB checked AV Technicians are available to carry out professional installations of your projector screen and associated cabling.